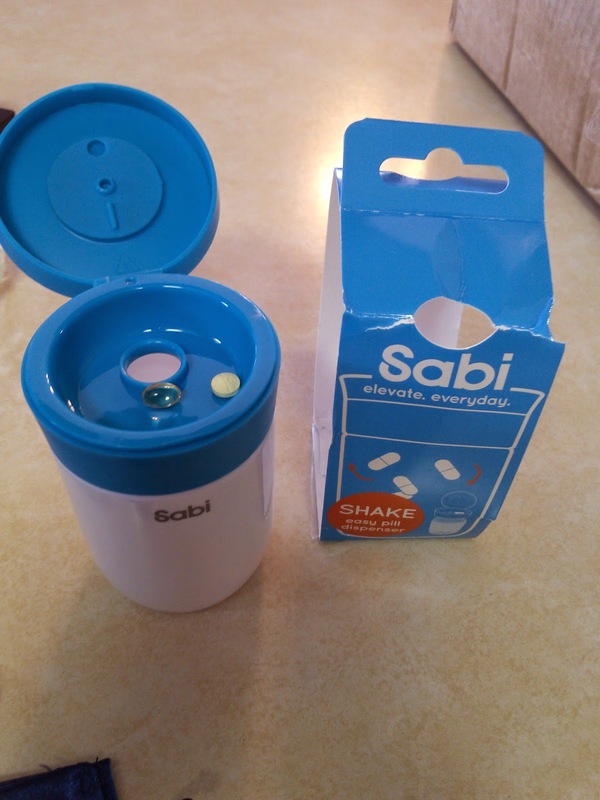 The Shake flip-top pill dispenser by Sabi is an alternative bottle-style pill holder that is designed to be more stylish and fun to use than a traditional pill box. It was created with your daily vitamin or pill routine in mind - Whether it sits by your bedside or on the kitchen counter next to the sink - this dispenser bottle will serve as a reminder to take your pills. The cap of the bottle is easy to open - it just flips up! Inside the cap, there is a covering with a small hole so that it only allows one or two pills to come out at a time. No more spilling all over the floor (which has happened to me more than once!) You simply shake the closed bottle, then flip the cap open to find one or two pills sitting in the tray. It also reduces germ transfer since you don't have to dig in and touch all the pills just to get one out. I love how easy the Shake dispenser is to use and retrieve just a few pills at a time. It's especially handy for a medication I take that are very tiny pills and hard to get out of the medicine bottle without pouring several out or spilling some. I also found that there's an expiration date dial inside the cap so that you can keep track of when the medication expires, as well as an included plug to use when traveling to ensure the pills remain inside the bottle rather than rattling around in the lid. 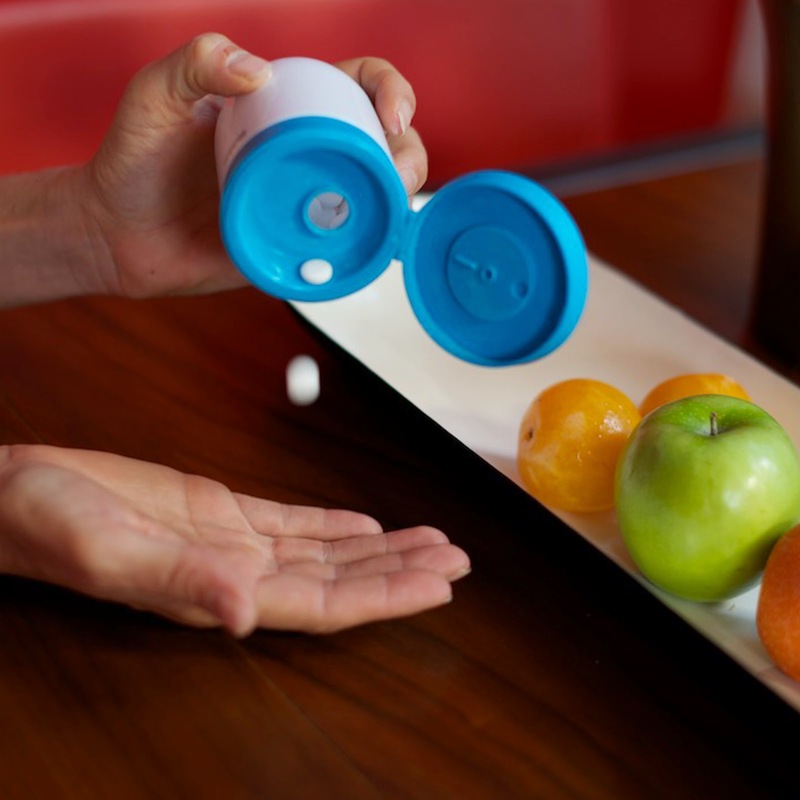 The Shake is a nice innovation that makes taking pills easier.